Often underrated and ignored, email marketing can help increase your mobile app installs if done the right way. Of course, it takes patience and a fair bit of hard work to build up a database of subscribers, but if you stick with it, there are hacks that will speed up the process. Noah Kagan built a seven-figure business solely on the back of email marketing. Of course, it is possible with your app too. But for you to succeed with email marketing, you need to align your thinking away from looking at directly acquiring customers to acquiring, nurturing and engaging leads. Once you’ve built a strong following that wants to hear from you, that trusts you will guide them in the right direction when it comes to choosing the product or service that’s best suited to their needs, they will listen to you. They will listen to you when you talk about how your product or service will benefit them. The single most important factor for email-marketing success? You guessed it right, email addresses! Collect email addresses of people interested in hearing from you, whether from your landing page, blog and even through Twitter cards. 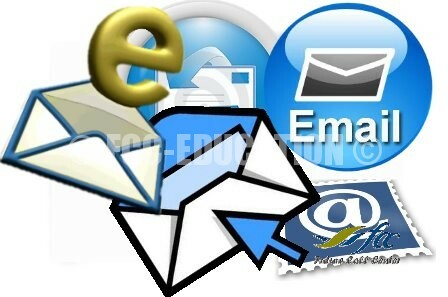 Find ways to get users to share their email address with you. Of course, with each route that you choose, you have to be conscious of the value you’re offering to your audience for which they’re providing you their email addresses. For example, offer a free ebook, a whitepaper or an email course like the one I offer on mobile app growth hacking. Another great way to get started with your email list is to export the email addresses of all your first connections on LinkedIn. There are a few hacks that will boost your efforts of capturing more email signups. Optimize the pages that get highest traffic on your website and place the lead-capture option there. OkDork and Buffer App’s blog both have placed the lead capture right up front on their blogs. The first thing that you notice is the value they offer along with the signup form. Let your visitors know clearly how often they can expect an email. A lot of people don’t sign up for the risk of getting several emails every week. Social proof is a great way to influence people into signing up. Social proof could include the number of subscribers you already have (use this if it is in a few thousands), testimonials from influential people (read: well known) or press. Once you’ve brought the users on board your mailing list by offering value, continue to engage them. The more your audience is engaged, the more they’ll refer to their network. So how do you keep engaging them? Sending content that your audience loves to read would increase the chances they stick around. Curated content saves you time and investment in creating content consistently and is an easy way to provide great value to your audience. Ensure the content is sourced from some of the best blogs or publications in your industry. Also use products such as Intercom or Customer.io to email your existing product users based on a certain goal completion or a pre-defined event, such as purchase or incomplete signup. When you’re sending content of value to your subscribers, ensure you’re providing something from time to time that makes them share it among their network. Harry’s, the men’s grooming brand, collects email addresses on its home page from users that were interested in knowing when the product would launch. Once they entered their email address, the “thank you” page got them to refer their friends to sign up too. The incentive was a free product. The more friends they referred, the bigger the prize they earned. Another way is to link to a pre-written email to increase referrals. Kagan describes the whole process in this blog post. The trick is not to hit people with the selling or marketing spiel about your product or service on day one. Gain the trust and then subtly sell. This way, you’d close more sales than you can ever imagine. Yes, email still works!